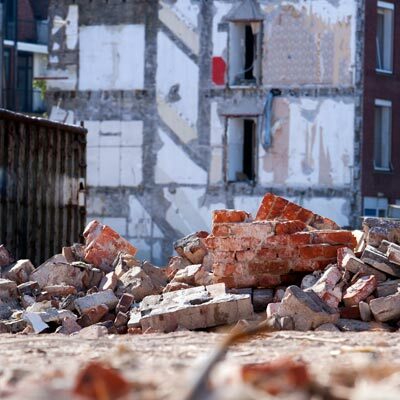 BROD Demolition adheres to Green Demolition practices. We remove salvaged materials by hand and sort a variety of metals and other materials for recycling or safe disposal. This reduces the amount of garbage that goes to the landfill thereby protecting environment. We dispose of hazardous materials in an environmentally responsible manner. And, when possible, we salvage timber for re-use in residential and commercial building projects. Before demolition begins, wherever possible, we remove existing plants and shrubs and, resident bird and bat populations are either carefully removed or relocated. "Bevin was truly a professional contractor. He worked with local First Nation labour to assist in developing much needed skills and taught the employees how you can demolish a building with not many of the materials ending up in the landfill. Ensuring the materials find new homes in new buildings was very impressive and showed environmental stewardship. I would definitely use Bevin again in the future." "Brod Demolition is a great supporter of O.U.R. Ecovillage. Many of our eco-friendly buildings have product purchased from or donated by Brod Demolition including one complete building." -Brandy Gallagher,Education and Outreach Coordinator O.U.R. Ecovillage, Shawnigan Lake, B.C.